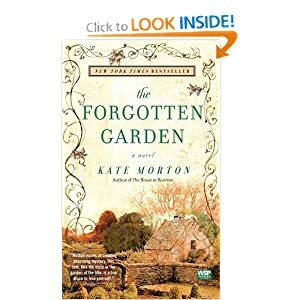 First up, The Forgotten Garden by Kate Morton. A fantastic story about a girl who gets put on a boat in England bound for Australia at age four. The story covers her life, her parents lives, her children and grandchild – who finally solves the mystery of why she was on the boat. It’s a little dark, and feels magical, although there’s no actual magic. It was excellent as an audio book – I know the paperback is on the bestseller list now. I think if you liked The Thirteenth Tale by Diane Setterfield, you’ll like this one. 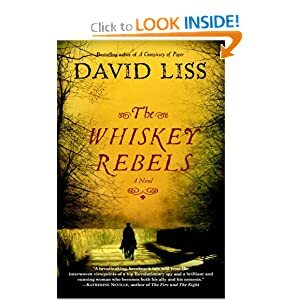 Next up is The Whiskey Rebels by David Liss. So funny and interesting – the tale of disgraced Revolutionary Army Captain trying to save his first love and save the new nation from financial ruin. SO MANY parallels to today’s stock market and government. It’s a fun, fictional glimpse at Alexander Hamilton as the first Secretary of the Treasury, the men and women of the west that improved the Whiskey trade, the first government in Philadelphia. I loved every bit of it! Historical fiction at it’s most entertaining. Audible has an awesome sale going on right now – over 200 books at only $4.95. I can’t get enough! Both sound fascinating. I enjoy audiobooks while I drive, actually. Nothing like literature in any of its forms to take one away from the daily humdrum, right? I too have discovered the joy of audio books while doing housework, and sewing, and now walking… except for when I am listening to This American Life. :) I will check those out! Our library here lets you download audio books for free, I haven’t done it yet, but you should look into it! I am looking forward to SUNDAY, see you then! Trudy – my house would be EVEN DIRTIER if it wasn’t for audiobooks to make vacuuming tolerable. Emily – I do use the library for audio books, but find that they don’t always have what I want. So I get them there, and I have a 2-credit per month membership with Audible. Between that and a ton of podcasts including TAL, I always seem to have my iPod on. Have you listened to the Moth? You’d probably love it. I also like Slate’s Political Gabfest – although, post-election season is not nearly as good as pre-elections season was. I love to listen to audio books while I’m quilting and piecing. did you not love the Forgotten Garden. I could not put it down. I read it in 3 DAYS!!! I’m listening to another Kate Morton now, too. Also really good – The Shifting Fog.